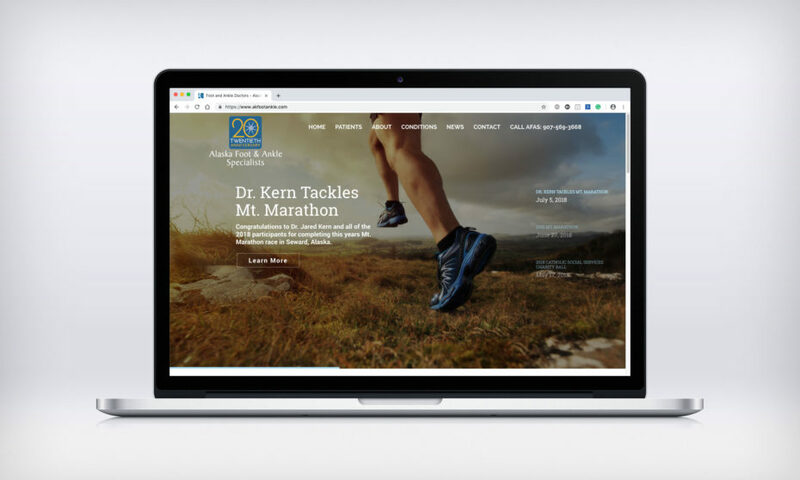 Alaska Foot & Ankle Specialists Website - Red Carrot Design, Inc.
Alaska Foot & Ankle Specialists (AFAS) is a team of board-certified doctors specifically trained to diagnose and treat the foot and ankle. AFAS has medical offices in Anchorage and Wasilla, Alaska. Our Solution: Designed and developed a new website to be more mobile and search engine friendly. The new AFAS website is now responsive and viewable from smartphones, tablets and desktop devices. The site features online resources to help patients learn more about the foot and ankle conditions, request a consult or submit an inquiry using their online form.